as technology changes alternative storage solutions are becoming a popular option for Home users, small to medium-sized businesses (SMBs), as well as large enterprise corporations. They will be challenged to find ways to increase and maintain storage in-house. “Cloud storage” is basically defined as data storage that is made available as a service via a network. But that definition can be confusing because it’s so broad and can include many different types of connections, services, reliability and cost. There are a many aspects that must be determined when considering cloud base storage solutions. For a single user cloud base storage providers can offer an attractive starting point. However in most instances these services are featureless. Features that come standard with Right Next To You Data Solutions like permissions control, file synchronization, historical versioning of files and data access over multiple platforms, just to mention a few makes it a powerhouse in the world of data management. 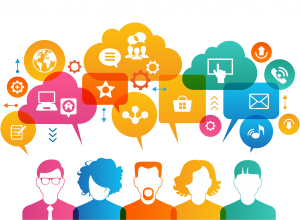 When using the Right Next To You Data Solutions in conjunction with data management you have complete control of your data. There’s no need to worry about members of a third-party datacenter doing unscrupulous things with your data, being swept up as just another victim of a data center breach, or cloud service discontinuation which leaves your files orphaned in servers you can no longer reach. 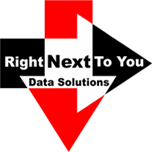 The Right Next To You Data Solutions has affordability, privacy and accessibility at its core in this way it will give you confidence entrusting your most important, most personal assets will be safe and secure. Experts agree there’s simply no way to ever be completely sure your data will remain secure once you’ve moved it to the cloud. While providers of email, chat, social network and cloud services often claim even in their service agreements that the data they store is encrypted and private, most often they hold the keys, not you. That means a rogue employee or any government “legally” requesting encryption keys can decrypt and see your data. For example, Apple’s SMS/MMS-like communications platform, iMessage, claims both voice and text is encrypted and can’t be heard or seen by third parties, but since the product is not open source, there’s no way for us to know how it works. Freedom of Information Act requests by the American Civil Liberties Union (ACLU) previously revealed that the U.S. government claims the right to read personal online data without warrants. For example, Apple, AT&T and Yahoo received only one gold star out of six. Dropbox, LinkedIn and Google all have five out of six stars. Twitter and ISP Sonic.net were awarded six out of six gold stars for their efforts to protect user data. Ultimately, if you are really worried about your data going to the government, given there are streamlined legal processes by which they can get access to your data these days, it’s good for users to keep data stored locally and only in the cloud in an encrypted way. Natural disasters, computer hacking, virus, malware, ransom ware disgruntle employee, equipment failures, and other catastrophic events can happen anytime, anywhere, and to any business. Can your business survive a loss of critical application or client data? Recovery and or access to your software, data, and/or hardware that are needed to resume the performance of normal, critical business functions after the event of either a natural disaster or a disaster caused by humans. Identify critical software applications and data and the hardware required to run them. Using standardized hardware will help to replicate and re-image new hardware. Ensure that copies of program software are available to enable re-installation on replacement equipment. Prioritize hardware and software restoration. 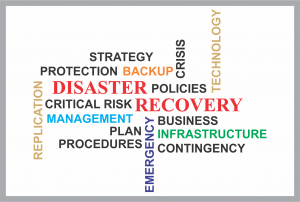 Document the IT disaster recovery plan as part of the business continuity plan. Test the plan periodically to make sure that it works. When choosing between Right Next To You Data Solutions and third-party cloud providers, it should be highlighted that both have their very own advantages and disadvantages. Likewise it is often found that the CONs of one are the PROs of the other. So it is with this process of elimination that we can help choose between both platforms for your data and pick the one that best suits your data requirements. Cloud storage is extremely trendy right now. It fulfills a lot of the same needs as external drives, all while offering more features and conveniences. In short, cloud storage is when you store your data on a cluster of remote servers (“the cloud”) which are accessed through the internet you just create an account and upload files whenever you need. Most cloud storage services offer automatic syncing, which is even more convenient. But cloud storage has its flaws. If your internet connection stops working for whatever reason, you lose access to your data. USB transfer speeds are much faster than most internet connections, so uploading and downloading to the cloud is comparatively snail-paced next to external drives. And privacy is a huge concern. Are cloud storage services peeking at your data? Or even selling your data? These concerns are now a reasonable assumption that so many protection laws are being changed. When you put your data into the cloud you’re handing it over to a provider who may have data centers in many different places, countries or even continents. 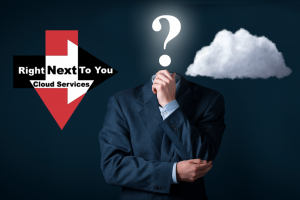 While the great thing about the cloud is that you can access it from anywhere, the downside is you may never know exactly where your data is being stored. This is bad news for scientists and doctors working with sensitive data such as health records, or lawyers, accountants or insurance companies wanting to store records. If data is moved to a different country, a whole different set of legal rules could be in force. If you process data in the UK, store it on servers in the US and send it via France whose laws would you obey? Things can get messy very quickly. Right Next To You Data Solutions uses the newest most advance NAS “Network Attached Storage” as the foundation for all of its solutions and is a proud partner and re-seller of its products. There are a numerous factors that come into play when you start considering cloud storage solutions. 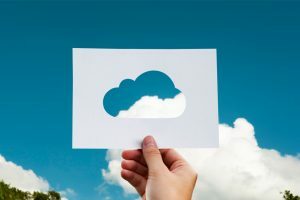 For individual users cloud storage providers can certainly offer an attractive starting price point, but without the breadth of features afforded by a NAS. For groups and businesses NAS solutions unquestionably provide a more attractive price particularly over the included two, three, or five year warranty of NAS products. In many cases cloud services will instate a per-user fee to access the service, and allocating more space for those users can be cumbersome. Using a NAS isn’t without its downsides. Typically cloud storage providers can offer speedier access to your data as your files will be in a datacenter with plenty of bandwidth. For small quantities of data, there are often free or inexpensive cloud services available, but are typically lackluster in features. Features and benefits that come standard with a NAS like historical versioning of files, recovering deleted files, integrating with LDAP or Active Directory, tracking connected devices, and implementing restrictions on data access either carry a price premium with cloud providers, simply aren’t available, or require third-party services to access when using public cloud services. Using a NAS means you have complete control of your data. There’s no need to worry about members of a third-party datacenter doing unscrupulous things with your data, being swept up as just another victim of a data center breach, or cloud service discontinuation which leaves your files orphaned in servers you can no longer reach. There is no “number 1 mistake” instead there are a collection of mistakes that could be made and each has the potential to introduce intolerable risk to the business. Failure to plan for the unexpected. Not buying the right service package for their business needs. Overlooking the Value of Existing Infrastructure. Assuming the cloud provider’s security is good. Believing all storage is created equal. Failure to properly account for data privacy risks when moving to Cloud data storage. Underestimating the time and bandwidth required to move large data sets. Failing to understand the cloud’s capabilities as it relates to their business. Viewing it as a narrow cost-saving measure meant to reduce the need for internal IT capacity. Forgetting that storage is just one component of their on premises solution. How to get that data back if and when that becomes necessary. Not taking the time to research what is out there. A recent survey of 1,000 Americans was conducted by Wakefield Research for Citrix. 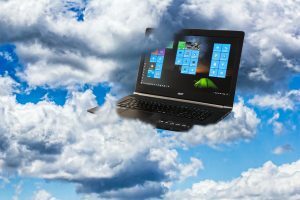 The results suggest that Americans like to think they’re on top of the latest innovations in cloud computing, but in reality know little about it. Unfortunately, even more people think that the cloud is tied to the weather in some way. © Right Next To You LLC. - 2017. All rights reserved.